Who is in Your Heart? Then He (Jesus) went down to Nazareth with them and was obedient to them. But His mother treasured all these things in her heart. 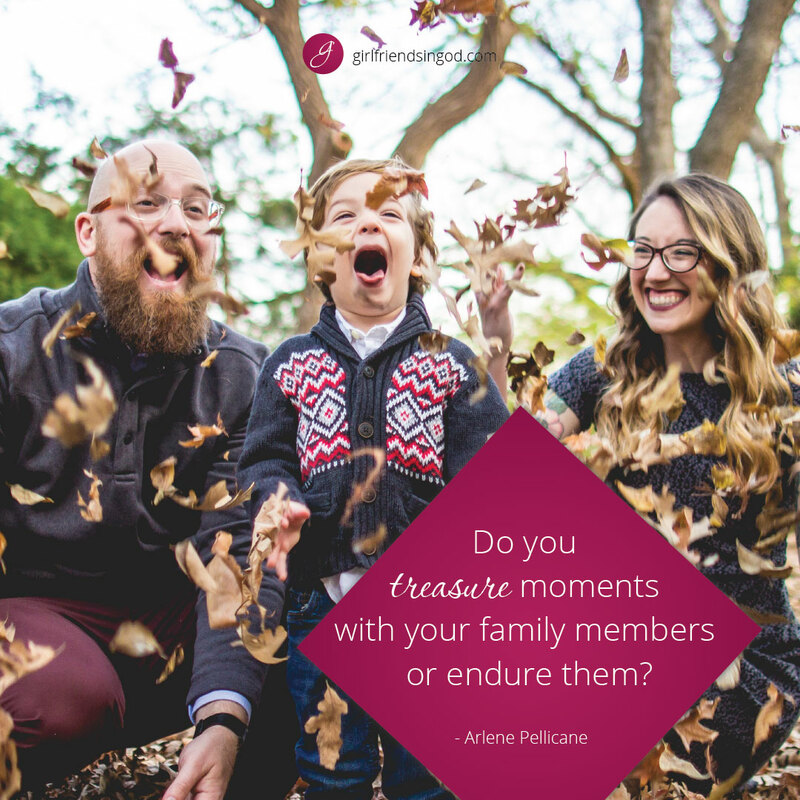 Do you treasure moments with your family members or endure them? Whether you have children, aging parents, or faraway siblings, time with family is special. Yet it’s easy to take those closest to us for granted. We can learn a thing or two from Mary, the mother of Jesus. 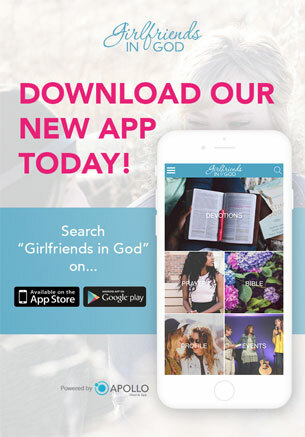 The Bible says that Mary treasured and pondered her time with Jesus in her heart. My oldest child Ethan starts high school this year. It feels just like yesterday that he was in elementary school. I remember his first day of kindergarten. I wasn’t just nervous. I was nerviosa. I was enrolling my English-speaking son in a dual immersion program where 90 percent of the day would be taught in Spanish. Seeing the kids lining up in front of the classroom, I squeezed Ethan’s hand and put on my best game face. “This is so exciting!” I said, halfway serious and halfway wanting Ethan to catch my pretend enthusiasm. But Ethan didn’t need any help. He said enthusiastically, “It’s so exciting especially for me!” His teacher made her announcements in Spanish and an assistant teacher translated the necessary instructions in English. We parents stayed with our kids for the first 15 minutes of class, completing a scavenger hunt together consisting of places like the bathroom, student storage spaces, and the library. When the teacher said, “Adios Padres!” it was time to cut the umbilical cord. A few kids broke down and cried, but Ethan didn’t even flinch when I walked away. He was ready whether I was or not. Sometimes our kids mature to the next stage before we want them to. I remember a time when cereal fixed any and every situation in my mom life. An older mom cautioned me, “In a little while, those Cheerios won’t work anymore.” I thought she was crazy, but she was right. It’s so helpful to have older people in your life who can provide perspective. We can’t go backward in time, but we can reminisce about happy times. We can look through photo albums or digital photos. Each stage of parenting and life has a beauty all its own. Sometimes we need a little reminder that the life stage we are currently in is good. Even in challenging seasons, there is beauty to be found. In our fast-paced digital world, there’s not a whole lot of reflecting or pondering going on. Yet this process of considering our lives and treasuring dear people in our hearts brings fulfillment and sweetness. The Apostle Paul when writing to the church of Philippi said “I thank God every time I remember you. In all my prayers for all of you, I always pray with joy because of your partnership in the gospel from the first day until now, being confident of this, that he who began a good work in you will carry it on to completion until the day of Christ Jesus” (Philippians 1:3-6, NIV). Paul treasured his friends in Philippi. They were a source of joy to him. He recognized the growth that would occur in their lives in the years ahead. He says in verse 7 that the Philippians are in his heart. Who is in your heart? 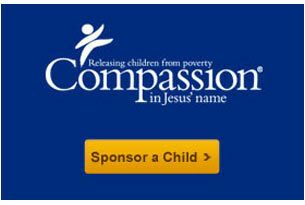 Perhaps it’s your children or husband, parents, best friend, brother or sister. Like Paul, you can pray that God would complete His work in their lives. When my son goes to high school on his bicycle this year, I won’t be there to walk him to his first class. I’ll be miles away at home. I’m sure he doesn’t want his mommy holding his backpack for him anyway. But you better believe I’ll be pondering my years with him in my heart and praying for him. I’ll remember that first day of kindergarten…and smile. Lord, thank you for the people You have put into my life. I ask You to complete Your work in their lives and in my life. I remember my loved ones with great joy and thanksgiving today. Use me to encourage my family to grow closer to You. 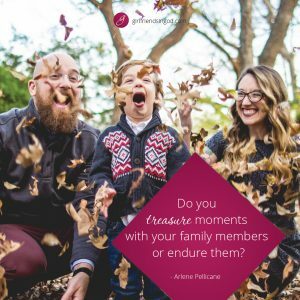 Help me to treasure my moments with them. Think of someone close to you and a happy memory from the past. Write that person a note about that memory. Use it as an opportunity to shower appreciation on him/her for his/her role in your life. Not sure how to relate to your kids as they grow to the next stage? Arlene’s book Parents Rising: 8 Strategies for Raising Kids Who Love God, Respect Authority, and Value What’s Right will help you (there’s a free video series too). Trish – that is beautiful. What a love you had with your husband. There is a great reunion ahead. Thank you for sharing. Thank you for praying for me. I needed to hear this today and I thank you for letting God speak through you. I am making some pretty heavy decisions in my life to focus more on my family rather than my career. With a chronically ill child and myself chronically ill I am trying to treasure everyday but that is sometimes difficult. Thank you for being God’s voice for me today. Father, I am tired of settling for the meager leftovers this world has to offer. Forgive me for not being willing to step out in faith and seek You and the plan You have for my life. Lord, I really do want everything You have in store for me. Right now, I come to You in shameless audacity and ask that You pour those blessings into my life. I receive them from Your hand of mercy and grace and thank You in advance for what You are going to do in my life as I seek and follow You. In Jesus’ Name, Amen.